I’m living in the city! Tuesday, I moved into my friend Katie’s apartment. It’s on the top floor above a restaurant with lots of city noise. Some people warned me I might not sleep well with the cars driving by but to me it feels just like my room at mom and dad’s house with 5 lanes of traffic! There is a beautiful view of the ocean too! I am so blessed that Katie is allowing me to stay here while I look for my own place. Katie has lived in Mozambique for 12 years now so she is able to teach me a lot about life in the city. Katie met some guy on the street yesterday wanting to know if she needed help finding an apartment….totally the Lord! So she and I spent yesterday evening and this morning driving around looking at places. We didn’t find anything that I’m crazy about yet…and actually places are quite expensive. But now that I’ve seen a couple of places, I have an idea about what I’m looking for. We did see one apartment today that would be perfect – it’s 3 bedrooms and would be in my price range if we find a 3rd roommate. It’s in the area of the city we want to be in and it’s less than a block away from my favorite Thai restaurant!!! Please pray for the Lord’s favor in finding the perfect place at the perfect price. I am feeling a bit unsettled now and am ready to be in my own place. On another note, I’ve already gone out to visit Zacarrius. He was so excited to tell me that he and his sister, Matilda, are both starting school next week. I want to help their mom, Lena, start a small business selling produce so I plan on going back to visit her next week to talk about that. 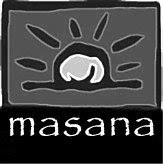 I was out in the city with some of my friends Tuesday and ran into a bunch of the boys who go to Masana. The project starts back up Monday. I am super excited about that!!! * I'll be looking for an apartment in the city with my friend Besty. I would love a 3 bedroom place so that we have an extra room for guests. Pray we find an affordable place quickly. * Pray that I will get connected to other Christians living in the city. * I am still lacking a little in support for the year. Pray that God will provide all that I need. * Pray for my Portuguese! * I will start working with Masana, the project for street kids, a week or so after I return. Pray that the Lord will give me creative ideas of how I'm to be involved with the boys. *More and more, I'm realizing how important the childhood years are in shaping how we view God. Pray I will be a great reflection of the Father's love to these boys.